St. Timothy's School in Stevenson, Maryland graduates citizens of the world. Some seem to have it in their genes. 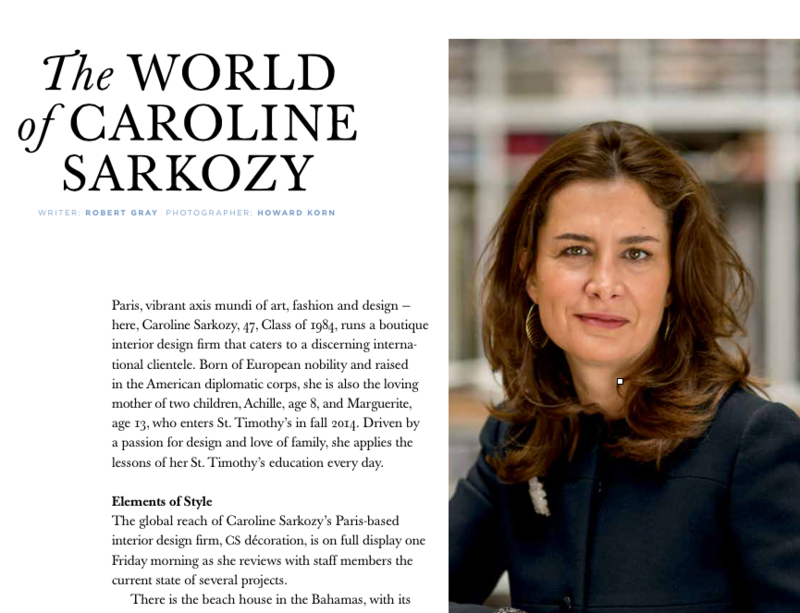 Paris born Caroline Sarkozy, St. Tim's class of 1984, sister of Nicolas Sarkozy, former president of France, oversees a high end interior design firm in Paris' 15th arrondissement. 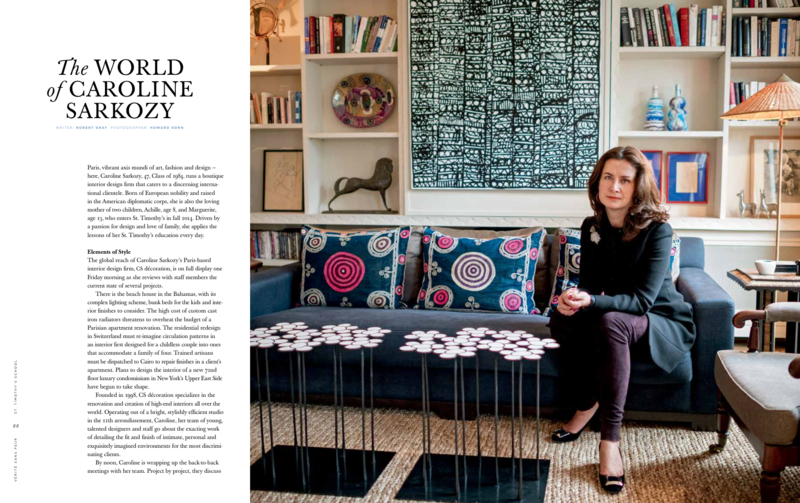 At once driven and reflective, Caroline Sarkozy's work is fashionable in the world's most fashionable city. 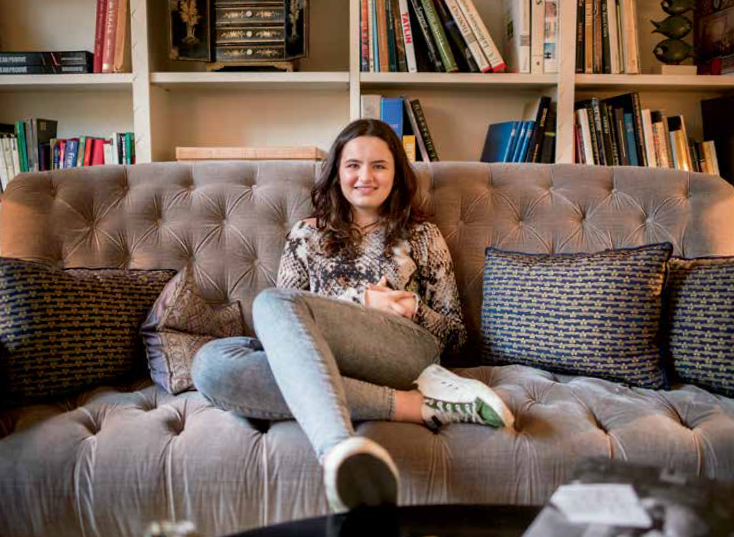 Interviews and research for this profile, commissioned for the St. Timothy's School alumnae magazine, Vérité Sans Peur, were conducted at her studio, in client residences, and at her apartment in Paris. Photography by Howard Korn, graphic design by Priscilla Henderer Design.